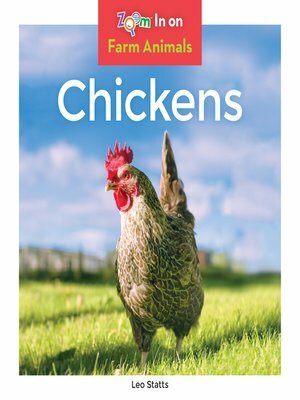 From chicks to roosters, Chickens introduces readers to these animals and their lives on a farm. This book captivates young readers through simple and easy-to-read text combined with vibrant, full-color photographs. Plus, quick stats sections and bolded glossary terms invite readers to zoom in and learn more. Aligned to Common Core Standards and correlated to state standards. Abdo Zoom is a division of ABDO.